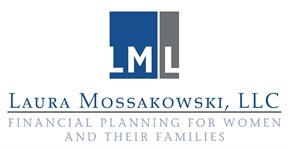 Laura Mossakowski, CFP® is the founder of Laura Mossakowski, LLC. She has been instrumental in helping to build a practice where everyone is welcomed and respected. Utilizing a clients-first approach, she’ll educate you on the fundamentals of wealth management and show you how to take charge of your financial future. Laura’s in-depth knowledge of tax, investment and wealth management strategies helps make a big difference in peoples’ lives. "The thing I like most about my job is putting a heartfelt and thankful smile on our clients’ faces, year after year," Laura points out. When you work with Laura, you’ll have a loyal partner who cares about you, and who will do what’s necessary to preserve your interests. Your concerns become her concerns. Away from the office, Laura lives with her husband Peter, their son Eli, foster daughter Darlene, cats Kobe and Picasso, and their dogs, Malley and Annie. Laura takes great pride in giving back to her community. She provides her time and resources to numerous charities, including being Board President of Encompass Early Education and Care, Inc., where their focus is to provide high quality education and care for children and support for families, regardless of their financial circumstances. She is also involved with the Service League of Green Bay, providing support and outreach to children in need. Laura was the Co-Chair for the 2015 Back-To-School Store committee where 3000 children were outfitted with a new first day of school outfit, a fully stocked backpack, given a dental check-up and a vision screening. 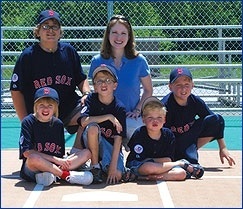 She also serves as the Treasurer and a Team Sponsor for the Allouez Optimist Miracle League of Green Bay since 2006. 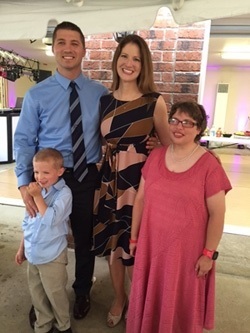 Laura and her husband, Pete, were a 'Big Couple' to an amazing 'Little Brother' through the Big Brothers Big Sisters organization for 8 years. Laura also supports Special Olympics and many other charitable organizations by volunteering her time and fundraising experience. The Laura and Peter Mossakowski Family Dog Park, LTD 501c3 in Bellevue is another endeavor she is passionate about. As the President of the Board since 2012, Laura works with an amazing committee of local citizens who raise funds to complete their vision for this community dog park, which was opened in June of 2017.